The DomusVi Ciudad de Badajoz Nursing Home for elderly people has been built for the comfort and convenience of its residents. In an open, light setting our residents benefit from wide open spaces and large terraces for a comfortable, pleasant stay. To be able to offer personalised, care, this nursing home for elderly people is divided into different, independent cohabitation units, with their own dining and living rooms where people live according to their own needs. The DomusVi Ciudad de Badajoz Nursing Home for Elderly People is situated alongside the university campus and the Infanta Cristina Hospital Complex, in a modern area. 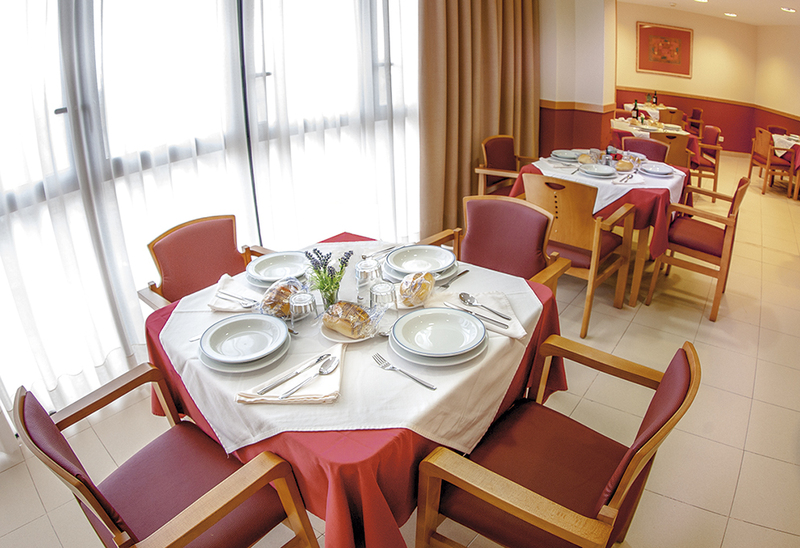 It has excellent connections with the city centre to Badajoz and offers numerous facilities and services that guarantee that our elderly people live in a comforting atmosphere of wellbeing. Transport: City bus, lines C1 and C2 / Renfe railway station at 1.2 km / Madrid-Lisbon highway, exit 403. / nursing home car park open from 17.00 to 20.00..
DomusVi Ciudad de Badajoz has both private and partially subsidised places with the Junta de Extremadura.